1. Team 5 Reporting In! The CLMF began partnering with Cambodian Self-Help Demining (CSHD) in the fall of 2017. We directly sponsor their fifth EOD team, which has set a blistering pace demining and defusing dangerous remnants of war in Siem Reap province. Check out our handy infographic to see some of the numbers through the first quarter of 2018! Also, check out our Twitter or Facebook for weekly updates on what the team is doing in the field! The Deminer made its Canadian debut during the Hot Docs Canadian International Film Festival at the end of April. Telling the story of former Iraq soldier and amputee, Fakhir Berwari, the film explored his quest to make life safer for his family and fellow citizens by defusing the shells, mortars, grenades, and mines which litter portions of his country. 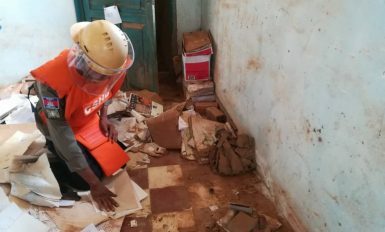 Like Aki Ra, the founder of Cambodian Self-Help Demining, Fakhir single-handedly worked to remove the continuing explosive consequences of war. Although landmine and ERW casualties have decreased in Cambodia in recent years, their murderous legacy has become no less tragic. A 13-year-old boy was killed and several others wounded in Battambang province in late April, after they discovered a Chinese-made 107mm rocket in a newly clear-cut forest. According to the Landmine Monitor, children account for more than 40 percent of all landmine/ERW casualties around the world. The situation in Colombia has improved greatly since the 2016 peace deal between the government and FARC, yet the end of hostilities has not ended the threat of thousands of improvised, low-metal explosives scattered across the country. Because conventional demining is both expensive and slow, Colombian researchers have been experimenting with neutron detection as a potential means of locating these explosives. 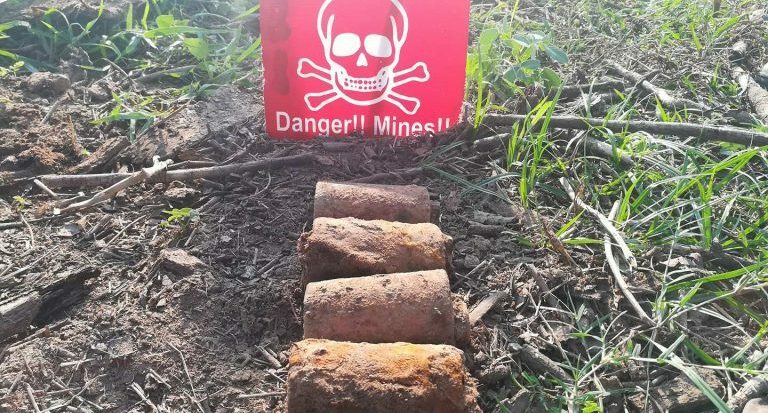 Since traditional demining also has a significant environmental cost, these new methods could help remove the threat of mines without damaging the soil and groundcover that are a significant part of Colombia’s jungle ecosystem. It was 20 years ago this month that US president Bill Clinton officially pledged to sign the Ottawa Treaty by 2006, a pledge that was later broken by president George W. Bush in 2002. Clinton’s inability to sign the official treaty in 1997 has been generally attributed to US military reluctance to dismantle the DMZ minefield separating the two Koreas. As a half-measure, Clinton orchestrated the dismantling of the minefield around the American naval base in Guantanamo Bay, Cuba in 1999. The Defuser is the Canadian Landmine Foundation’s monthly newsletter, a response to the difficulty of keeping up with mine-action issues in an increasingly dynamic world. Every month, we compile the stories that we believe are important to mine action and/or our partners in Cambodia.